After a drama-filled 40 minutes, Fenerbahce Istanbul escaped from the Basket Hall with a 52-55 victory over Lokomotiv Kuban Krasnodar to become the first team to advance to the playoffs this season. 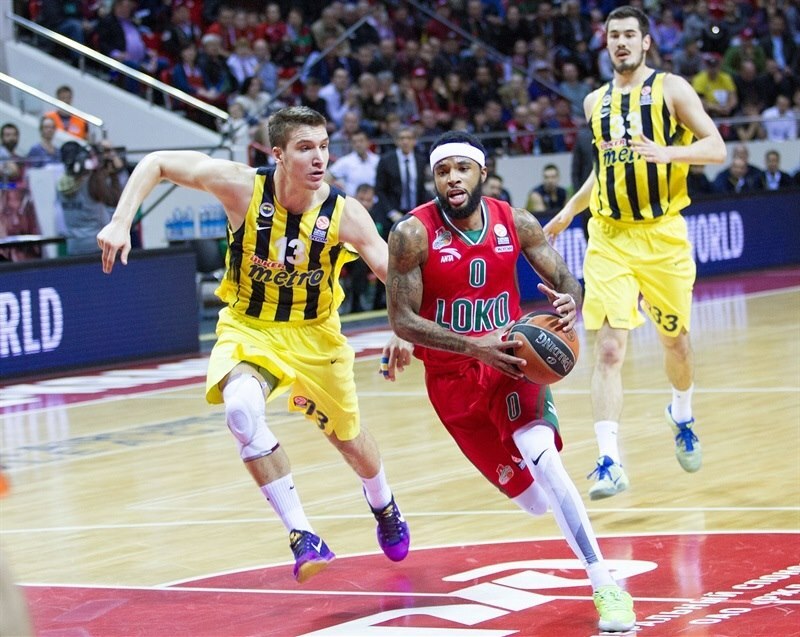 Fenerbahce improved to 9-1 in Group E with its second win over Lokomotiv, which slipped to 7-3. Both teams led in each of the four quarters and the fourth alone featured five lead changes. The game was not decided until the final buzzer when Victor Claver’s three-point attempt to tie it missed and the visitors raced away with the win. 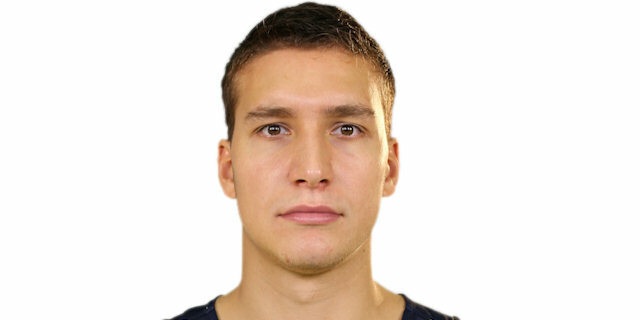 Bogdan Bogdanovic, who hit one of Fenerbahce’s go-ahead threes in the final stanza, led the winners with 17 points and Luigi Datome added 10. 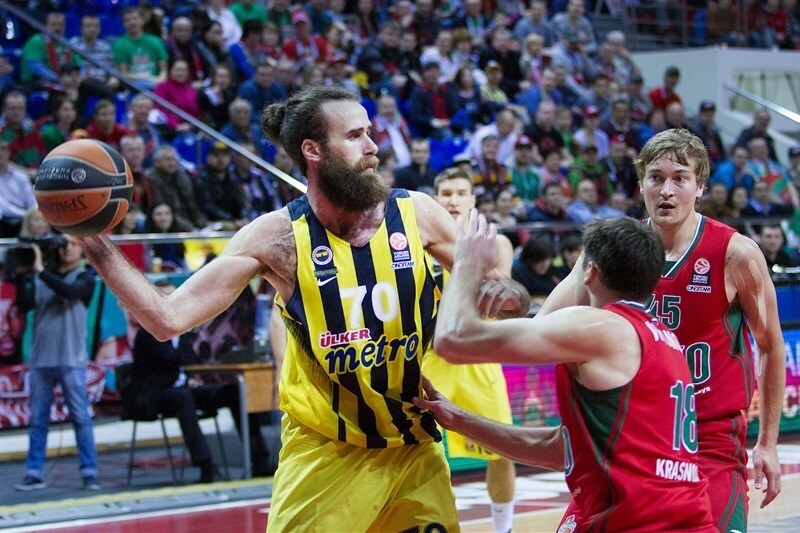 Claver posted 12 points and 12 rebounds and Malcolm Delaney tallied 12 points and 5 assists in defeat. 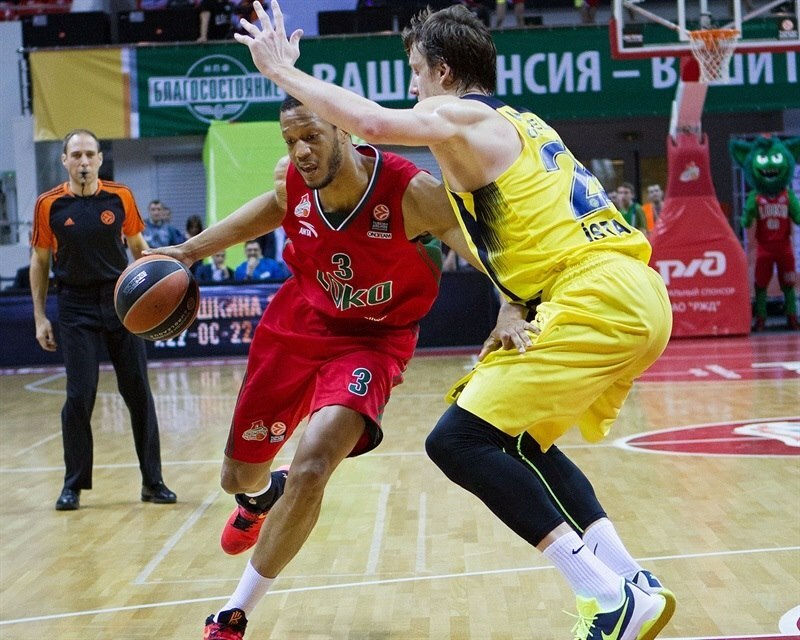 The hosts won the opening tip and struck first through an Evgeny Voronov layup and Anthony Randolph’s jumper. Bodanovic put Fenerbahce on the scoreboard, but Delaney delighted the home crowd with a pull-up three for a 7-2 start. 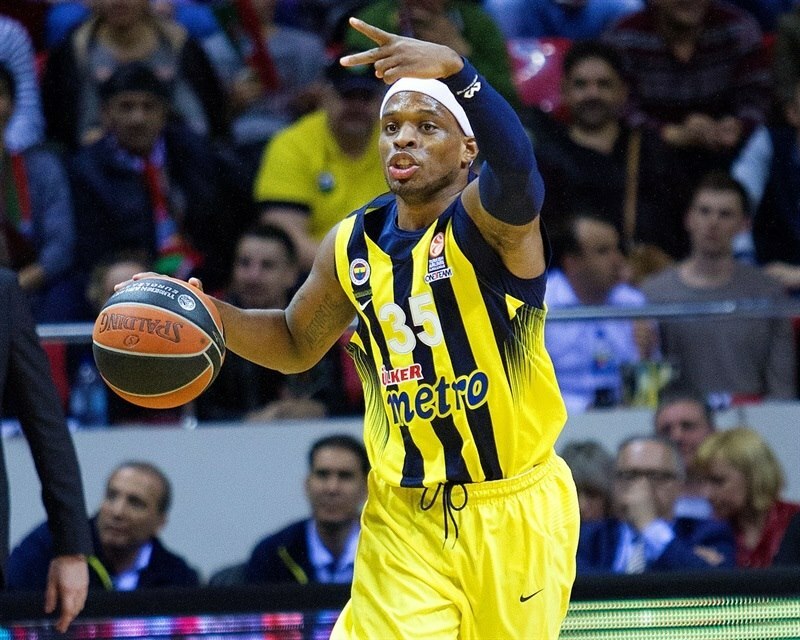 Bobby Dixon’s bounce pass found Jan Vesely for a layup, but Randolph matched him with a foul-line jumper. Delaney provided a highlight with a no-look dish to Claver for an alley-oop layup, however an easy basket by Nikola Kalninic and a Bogdanovic layup closed the gap to 11-8 at the first TV timeout. After Datome’s jumper, Bogdanovic gave the visitors their first lead with a three in transition. Berk Ugurlu added a long jumper to cap a 0-11 Fenerbahce charge. Claver ended the Lokomotiv dry spell with a spin move and finger roll. Ekpe Udoh rejected Delaney at one end and Datome nailed a jump shot at the other to make it 13-17 after 10 minutes. Vesely extended his team’s advantage to 6 with a jump shot. Chris Singleton twice split foul shots and Ryan Broekhoff hit a jumper in the lane. Singleton’s long jumper tied the game at 19-19 and prompted a Fenerbahce timeout. The visitors’ woes continued as Vesely missed a slam and Claver split foul shots after an offensive rebound to put Lokomotiv ahead. The lead was short-lived as Udoh ended a four-minute Fenerbahce drought with an alley-oop layup for a 20-21 edge. Ricky Hickman drove inside for his first basket as the visitors regained the momentum. Hickman took control with a jumper and 2 free throws to boost the difference to 7. A baseline drive and layup by Bogdanovic capped a 0-10 run and caused Lokomotiv to call timeout down 9. The timeout sparked the hosts as Randolph scored on the offensive glass and then drilled a jumper to trim the deficit to 24-29. Andrey Zubkov and Datome each split free throws to end the half at 25-30. Delaney’s lob to Claver and a Broekhoff triple tied the game at 30-30 two minutes into the second half. However Bogdanovic buried a triple at the other end. 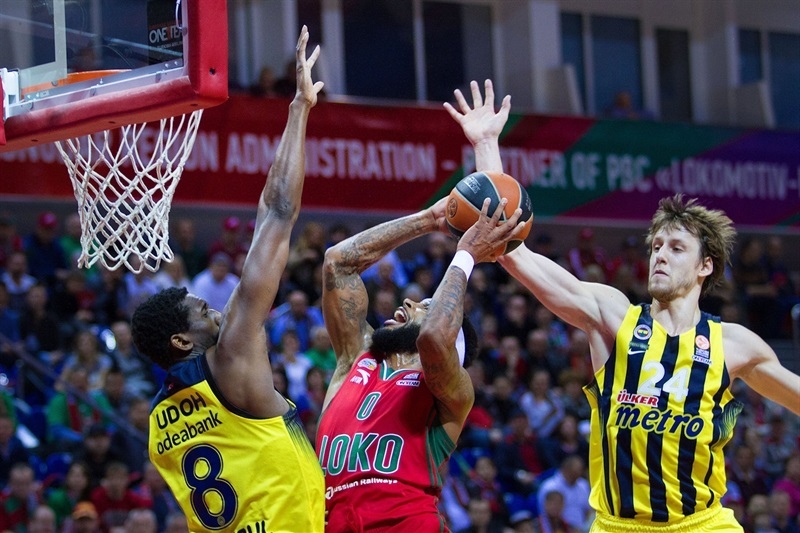 Claver rejected Udoh inside, but then fouled him and Fenerbahce center made the 2 free throws. Bogdanovic was called for an unsportsmanlike foul away from the ball and Delaney sank the resulting shots. Dixon beat the 24-seond clock with a floater only to see Matt Janning match him with a left-handed layup to bring his team within 34-37. Datome nailed a jumper and Udoh scored inside. 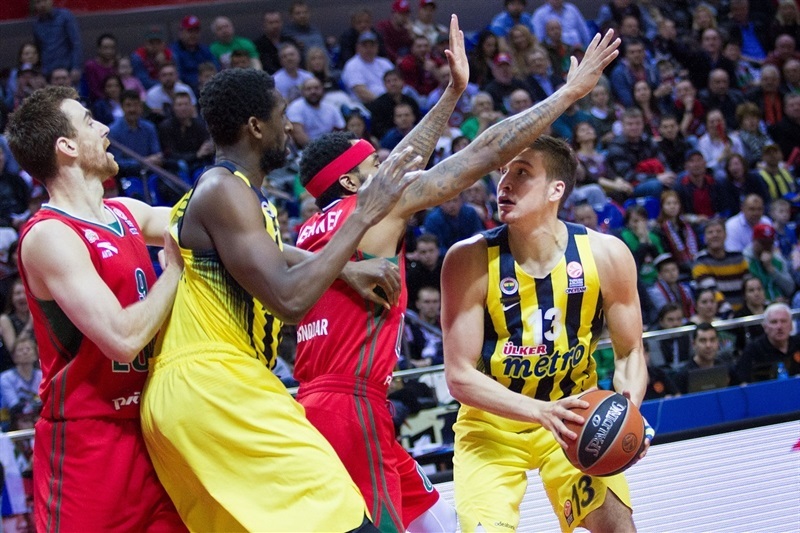 Broekhoff kept the hosts close with a three from the left elbow. Datome nailed another shot over Janning, but Delaney free throws and a three by Claver closed the gap to 1. Claver continued a fantastic quarter with a go ahead basket for a 44-43 edge. Both teams tightened up the defense as neither team scored in the first two minutes of the quarter until Singleton buried a three. After a Fenerbahce timeout, Dixon also hit from downtown. Bogdanovic’s shot jumper gave the visitors a 47-48 edge. Points remained hard to come by with Randolph anchoring the hosts’ defense with a pair of blocks. Singleton’s steal led to a go-ahead three by Delaney with 100 seconds to play, but Bogdanovic answered in kind on the next play. Delaney made it 52-51 with a leaner from the top of the key. After a timeout, Dixon drained a triple before Randolph missed a pair of free throws with 33.7 seconds remaining. But Vesely fouled Singleton on the rebound and then Randolph on the inbounds play to take a seat with 5 fouls. A miscommunication between Delaney and Claver led to a costly turnover with 17 seconds left. However Datome split free throws with 15.6 seconds on the clock. 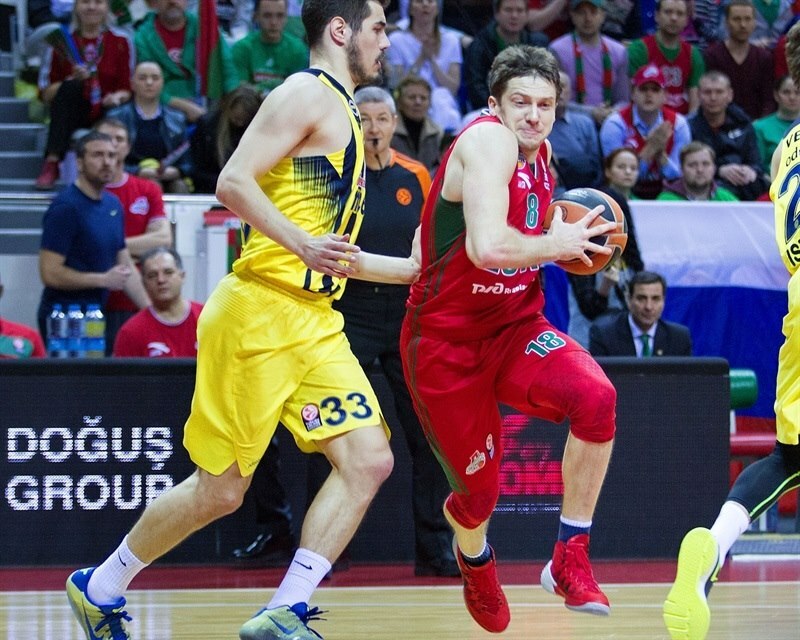 Janning, Broekhoff and Claver all had looks from downtown to tie it in the closing seconds, but missed and Fenerbahce escaped with a victory and playoff berth. 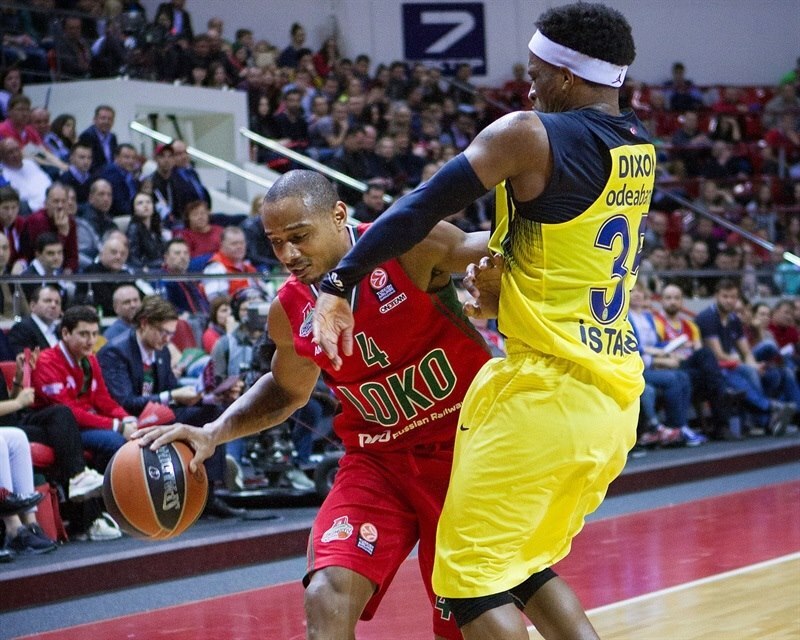 "We played against the team with the best record in Euroleague. We competed hard, wanted to win, but finally one three-point shot by Dixon and one missed three-point shot by our team decided the game. Both teams tried to use their defense to destroy the offensive game of the other team. I think we did a good job, but I think it was a nervous approach from our team. Fener tried to play in the beginning hard, deny all the entry passes. They have great rim-protectors in Vesely and Udoh, and it is not easy to score under the basket. We needed 20 minutes to adjust to that type of game, and in the second half we were very competitive, we managed what we had to do, and we played well. But as I said, one three-point shot by Dixon, and one by Bogdanovic earlier, and 2 missed free throws and an open three-point shot decided the outcome. We are sad because we lost a game against the team with the best record, but we grew during the season, we are close to qualifying to the playoffs, and we are fighting for home-court advantage. When winning so many games in a row, sometimes a loss like this is a good lesson for us. We need to learn, but go on, because our schedule is very tough, very hard. But I feel very positive and very confident in our team, and we are looking forward to the next games." 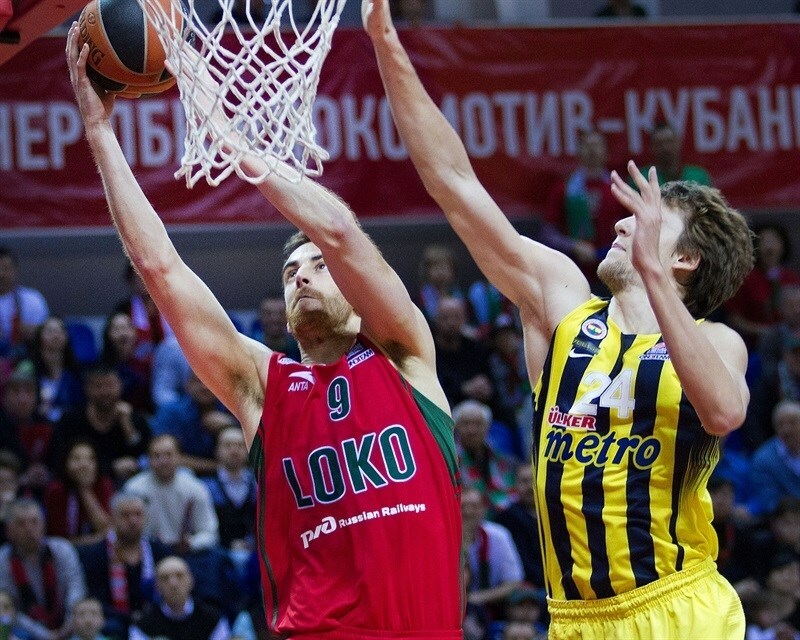 "We came here to play a very important game in the Euroleague Top 16 against Lokomotiv, which is in excellent form. In their last games they played CSKA, Khimki and Efes and they beat them. And not only did they beat them, they played some basketball. 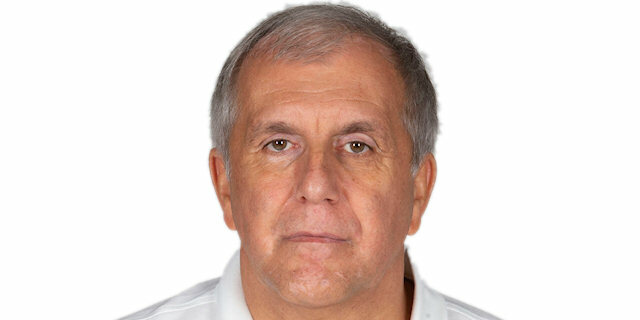 I belive they are a really good team and I think Coach Bartzokas is doing a great job. We came here with a lot of problems in our team. 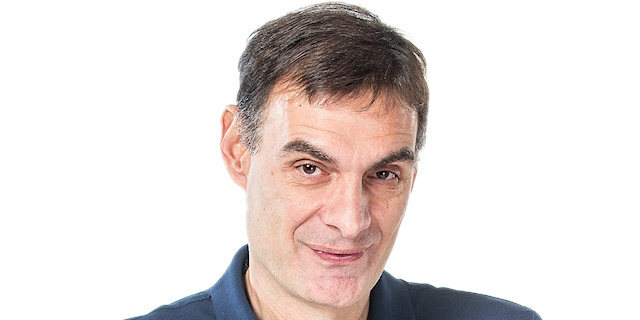 We don’t have our rotation; Pero Anti cis out one month and Kostas Sloukas just returned today. And Ekpe Udoh played today without any practice. Thanks to him for his effort. I am very happy for the victory. Both teams fought hard. If you win by 3 and they have the possibility to tie in the last shots, you must say luck was on your side. Because of how we played defense, I believe both teams didn’t play so well on offense. 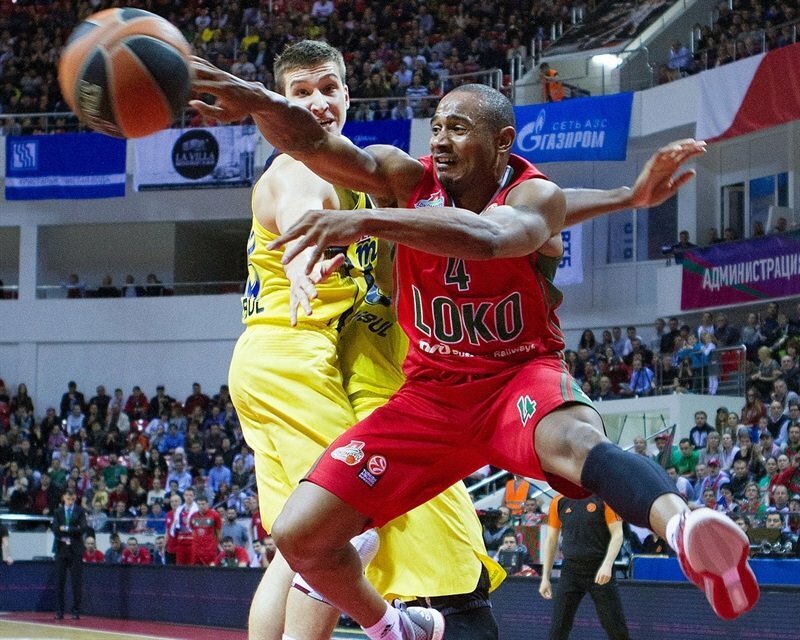 Normally Lokomotiv scores more because they shoot so many three-pointers with very good players. But the same thing is for my team. " "I remember I lost some crucial turnover, but me and Bobby made some incredible shots for three points. We really fought as a team. This is a team victory and congratulations to my teammates. We have still four more games and we need stay focused on what we do on the court. That's what will put us in good shape for the playoffs."